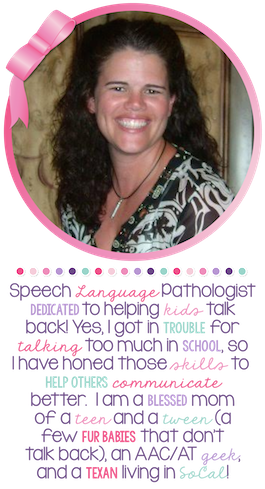 “Just Add” is one of my super quick and easy Speech Therapy Activities. Sometimes the day gets crazy and we need something simple to keep our students engaged. Yesterday, I had an articulation group after one of my more challenging pragmatic language groups. The printer was being cranky and I didn’t have the time to print off their interactive practice sheets from Detecting Articulation Targets (which is no prep, but is dependent on the campus printer). So I had the students pull out their spiral notebooks (Which we have been working on this year. I have been using Detecting Articulation Targets, SpeecheMon Articulation Sheets, the Everything you Need Articulation Bundle by Speech to the Core, Articulation Print & Go & Articulation Notebooks by Teaching Talking, and Joke Books for Articulation by Activity Tailor to fill our notebooks. The great thing about having notebooks is that I can have students pull theirs out and get right to their specific targets. This activity worked so well, I had my next language group do the activity. I pulled out some cards from Grammar Gumballs as we were working on past tense. So I gave each student a scratch piece of paper (wipe boards work also are great) and a pencil. I then got out my large foam die. I had the student practice 5 targets and then they got to roll the die. On the first roll they write their number and then on each subsequent turn they roll and add the number. 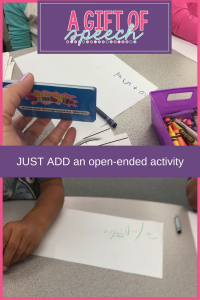 Simple no prep activity that works on targets and some math skills. 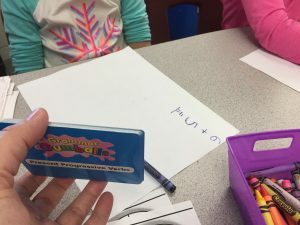 It was definitely a challenge for my younger students, but overall it was a big hit. What are some simple activities you use during your speech sessions?